When one considers that fountain pens, ballpoints, roller balls, felt-tips, propelling pencils and other writing instruments use mature and reliable technologies, any word of new developments may seem a stretch. Ballpoints and rollerballs don’t leak and are safe on flights, while fountain pen users are versed in their peculiarities. As for mechanical pencils, these have been around since the 19th century and they’re trouble-free, too. But that hasn’t stopped the major brands from further honing these otherwise seemingly non-improvable tools. Montblanc, number one in the luxury pen field and the brand that dealt with “smart watches” by putting the phone-connected bits in the strap, has partnered with Samsung, using the latter’s S Pen technology. Recently launched are the first ever “e-Starwalker” pen and the “Pix Pen” to work with the Samsung Galaxy Note 4. Montblanc makes leather covers for the Samsung phones and tablets, with a digital ID chip that provides access to downloadable Montblanc content. These accessories now include unique pen settings, as well as a 3D effect ink, home screen, wallpaper and unlock effect. The Pix Pen will feature an e-refill as well as black and blue ink, while the e-Starwalker Pen will include an e-refill and an analogue ink refill. S.T. Dupont, another luxury maker, has avoided gadgetry altogether and chosen instead the “modern materials” path to newsworthiness. It has launched products made with a new alloy called Ceramium A.C.T. (Advanced Ceramium Technology), an entirely new material developed by the brand. Ceramium A.C.T. took three years to develop, this aluminium-ceramic alloy proving to be shock-proof, scratch-proof and fire-resistant, as well as extremely light, reducing the weights of these objects by 40 per cent. Ceramium A.C.T. items will be available in black, dark grey and metallic grey finishes, the line so far including the Ligne D ballpoint pen (£300), Ligne D rollerball pen (£330) and Ligne 2 lighter (£600) – versions previously came in Chinese lacquer and precious metals. S.T. Dupont is also using carbon fibre for its venture with McLaren, the F1 team having appointed the French pen maker to create a line of accessories. In addition to a backpack, pilot case and a card holder that Fernando Alonso and Jenson Button will carry throughout the racing season, there’s a new pen with a barrel combining an injected metal frame and a “carbon leather” body. The McLaren Défi Carbon Fibre Ballpoint, which retails at £260, has swoopy good looks befitting a pen with a grand prix connection. Montegrappa has been a bit sadistic with the rather special Q1. 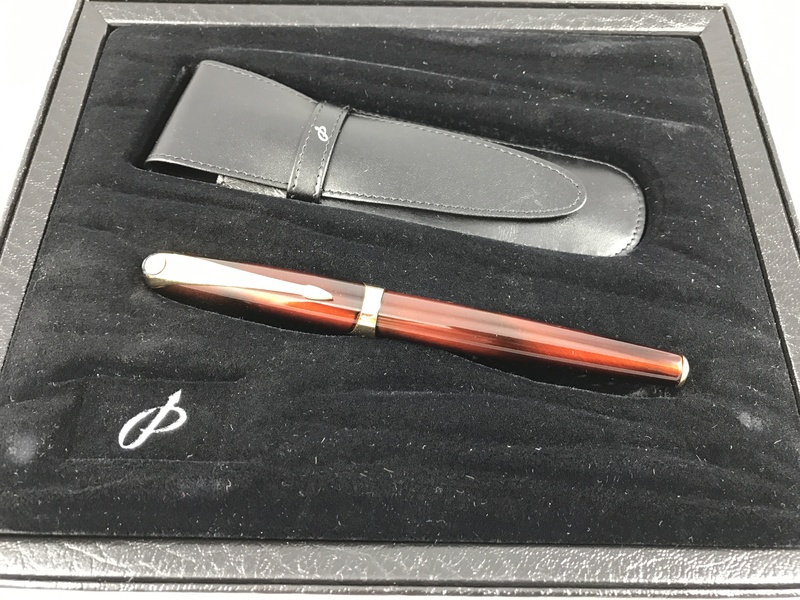 Not only is it a severely limited edition of only 100 pens, the pen costs a cool £7,425. Ouch. It will, however, join the ranks of collectibles because its party trick is unique. Part of the brand’s Cult Collection, Q1 is offered only as a fountain pen, and draws its design inspirations from the world of firearms, applied in a manner that shares a “steampunk” sensibility with Montegrappa’s “Grappa” pen, also in the Cult Collection. On the materials side, Q1 mashes ultra-tough and hard titanium for the pen’s barrel with titanium and fine Italian leather for the cap. Where it parts company with convention is in its unique multiple cartridge loading system. Q1 can write with several ink colours by changing any of its four different cartridges. The mechanism, similar to the one of a bullet cylinder in a gun, is contained entirely inside the barrel and is the subject of a registered patent. Supplied in a wooden chest to accommodate both the pen and its accessories, Q1 comes with a pair of gloves, a set of tissues and spare ink cartridges. Also supplied is a syringe for cleaning the feeder of the last-used ink colour, when changing the cartridge for a different colour. Probably the most important of all of this season’s pen announcements, at least in terms of actual technical prowess and general appeal, is Parker’s rather nifty Ingenuity. 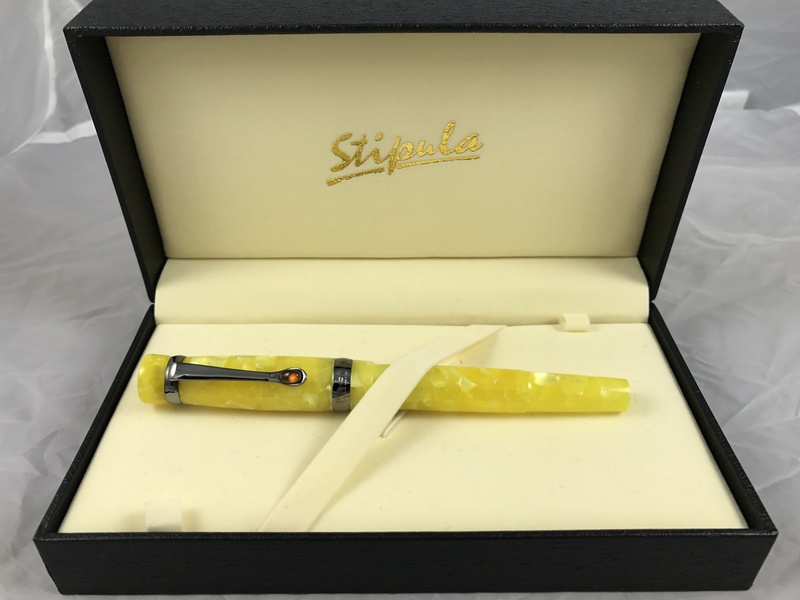 Its unique, patented feature is what the company calls its “5 Technology”, so named as it represents the fifth way of writing after the fountain pen, ballpoint, rollerball and pencil. With a protective hood over the nib, it looks like a fountain pen, but it writes like a rollerball. Also like a fountain pen, it adapts to the writer’s own style, pressure and movement. It was also developed to eliminate pressure, impact and temperature-induced ink leakages. Best of all, it is never messy: to refill an Ingenuity, you replace its ink carrier, which looks like a conventional refill. What is changed each time are both the nib and the ribbed ink feeder. Six ink colours are offered, from standard black to rich olive green via burgundy and peacock blue. While I favour fountain pens, despite their quirks and dangers, I also use rollerballs. (Ballpoints invariably write too poorly for me to suffer them.) Parker appears to have found the ideal hybrid of fountain pen, roller ball and fibre marker because Ingenuity feels and looks like a fountain pen but truly does write as smoothly a rollerball. Lastly, Caran D’Ache has reminded us of its longevity during its 100th anniversary by reissuing the classic (and here the adjective is warranted) mechanical pencil. The Fixpencil was designed in 1929 by a Geneva engineer, and is the first mechanical pencil with a patented clutch mechanism. The company is proud to note that the Fixpencil is a favourite tool of artists, engineers and designers, thanks to the array of leads on offer. Dressed in suitably celebratory packaging but costing so little, you’ll wonder how a genuine icon this clever, well-made and useful can be this affordable. At £45 it’s worth buying one just as an objet d’art – even if you never use pencils. It’s more fun to play with and harder to resist fiddling with than a string of Greek worry beads. And a great deal more sophisticated.